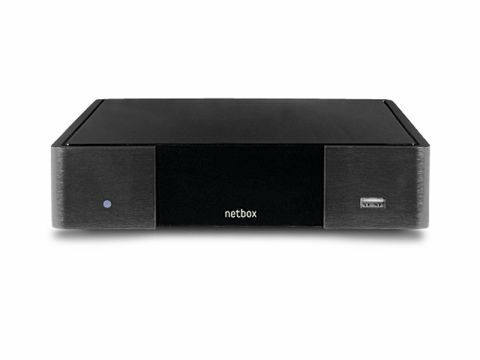 The Fetch TV Smartbox 8000 160GB Freeview+ PVR packs numerous punches, including a networkable multi-media hub; Wi-Fi and wired internet; on-demand movies and TV. It's very similar to BT Vision, only you don't need to subscribe to channel packages or be a BT broadband customer. The ace up its sleeve, though, is the provision of the BBC iPlayer service. The plasticky Smartbox tries to look more expensive than it is, without succeeding. The fascia takes its unobtrusiveness too far, as the only visual communication it offers is a grey LED that goes a paler shade of grey when the box is on. No handy channel numbers or record/playback indication. The remote control leaves a lot to be desired, too. Tiny buttons and icons make navigating the onscreen menus a frustrating process. Connectivity is better, though. All the main AV bases are covered, plus there are dual USBs and an Ethernet port. These act as conduits to a world of on-tap entertainment sourced either from your DLNA computer or via the web. And if you don't like wires you can use Wi-Fi. Installing and setting-up the Smartbox is, annoying remote control aside, a fairly painless experience. I used the Ethernet to connect to my BT Home Hub and was soon able to establish an IP connection without any stress. Whilst not in the class of GUIs from the likes of LG and Panasonic, the overall layout and design of the menu system seems logical enough. As a Freeview+ PVR the Smartbox does a good job. The EPG floats nicely on top of the broadcast show and can be formatted in several ways. Recordings can be renamed and exported to USB. Playing back, the 100x quick scan mode makes a mockery of Sky's laboured 30x maximum. Playing photo, music and movie files from external devices works okay but you can't copy files on to the hard drive. Fetch TV makes a big deal of its Catch Up TV service, but I found the selection less than compelling. Free content includes a variety of podcasts (big deal) whilst pay TV ranges from 99p documentaries to movies at £3.49 (viewable for 24 hours in a seven-day window). Tragically, the HD selection currently comprises around only five (indifferent) titles. The folder structure of the Catch Up part of the guide makes browsing a pain. BBC iPlayer replicates pretty much the online version but annoyingly lacks HD support. Image quality is acceptable but fast-forwarding can cause the box to crash (possibly also due to BT's lamentably low broadband bitrate in my area). Overall, this is a very good Freeview+ box with decent media centre functionality. But worryingly for Fetch TV it has no monopoly on iPlayer and the rest of its Catch Up TV selection remains rather unenticing.